Attention tech-loving parents everywhere: the stroller of the future is looking for backers to push it past its crowdfunding goal. The Smartbe Stroller, an intelligent stroller with a built-in engine that propels it forward without it being pushed, launched today on Indiegogo. The stroller can move “uphill or while you’re shopping or running,” the campaign page reads. 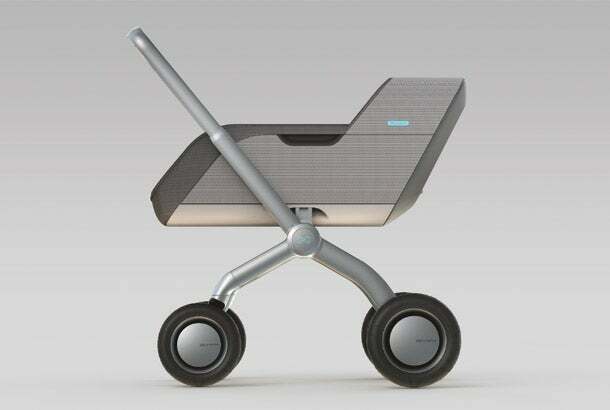 In addition to autonomous movement, the fold-up carrier can play music, warm baby bottles and charge batteries. As of this writing, just three backers have contributed a combined $1,059 toward the campaign’s $80,000 goal. This isn’t surprising considering the product’s hefty price tag. While the Smartbe Glamour -- the campaign’s most basic stroller model, which does not include the self-propelling feature -- is available for an earlybird price of $399, self-propelling models cost upwards of $2,700 and are not expected to ship until April 2017. “Parents need a new concept,” SmartBe founder and CEO Guillermo Morro, who also happens to be the father of twin girls, said in a press release. Babies plus autonomous strollers is a concept that raises all kinds of safety concerns, but the SmartBe team, some of whom are engineers with a focus in child safety, appears to have addressed the main one. 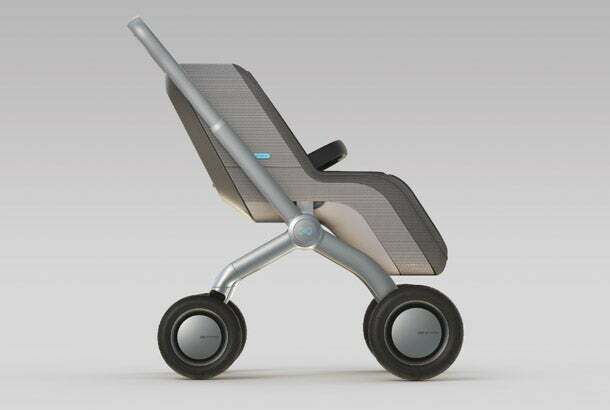 To ensure the stroller doesn’t take off on its own, a physical “stop cord,” similar to those found on high-end treadmills, connects the stroller to parents’ wrists at all times. “If the cord is pulled from the stroller it instantly stops,” says spokesman Lance Laytner. According to the company’s Indiegogo campaign, the product fulfills all safety regulations for the U.S. and Europe. Smartbe Intelligent Stroller from Smartbe Intelligent Stroller on Vimeo. Related: This 'Smart Wallet' Found Success on Kickstarter and Indiegogo. So Why Didn't It Deliver?